At least 85 people have reportedly died after a cold snap hit East Asia over the weekend. Meanwhile, around 60,000 tourists were stranded in South Korea, the BBC reported. Taiwanese media outlets reported that the deaths were caused by hypothermia and cardiac disease amid the sudden drop in temperature. Heavy snow also forced the closure of the airport on the South Korean island of Jeju. All flights were canceled. 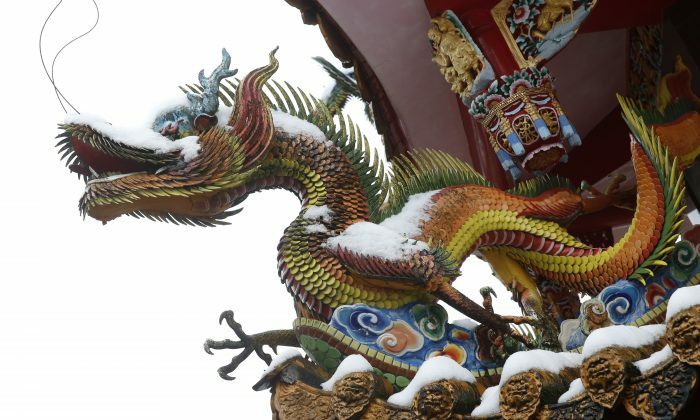 Southern China, Hong Kong, and Japan were also hit by the cold spell. Local media reported that there were deaths in Japan due to the cold snap. Many of those who died in Taiwan were elderly people leaving in the country’s northern reaches, including in the capital, Taipei, as well as in Taoyuan. Focus Taiwan, specifically, said that 35 people died in Taoyuan, and 21 died in Taipei and, while 10 deaths were reported in north Taiwan’s New Taipei. Sixteen people were confirmed dead in Kaohsiung, located in the country’s south. Taipei recorded a record low of 4 degrees C (39 degrees F), the coldest in 44 years. Guangzhou, located in southern China by the tropic of Cancer, experienced sleet for the first time in 60 years, according to a local meteorological station. Residents uploaded photos online of the small snow figures they had made, which were made via a thin layer of ice flakes that fell on cars and roads. “I woke up at 6am to work and saw small pieces of ice hit my windscreen. It stopped for a while, but happened again half an hour later. And then there was sleet at about 11am,” local man Wang Jun told the South China Morning Post. “It’s the first time I’ve seen that. It’s very beautiful,” he said. As the Guardian noted, the cold was caused by the polar vortex, a large cyclone that was pushed south in from Siberia.